Leigh Faunus the animancer stars in ... MONKEY BUSINESS! ‘Le Nice Pets’ is all the rage among the rich and famous - Aunt Petunia promises to turn your misbehaving pets into perfect angels. But Leigh suspects something’s not right, and when animals start to go missing it’s time for the Star League to step in. But the closer they get to finding the missing animals, the more dangerous it becomes for those close to Leigh. Is cracking this case worth losing what Leigh cares most about in the world? Illustrated throughout by Nahum Ziersch. H.J. Harper is a children's author who lives in Melbourne. By day she works in a bookstore, spruiking her favourite wares; by night she writes stories about zombies, movie stars, ninjas and robots. Her first series of books, STAR LEAGUE, will be published in 2011. However, when H.J. reached high school she realised that being a Mad Scientist might actually involve being half decent at science, and so she turned her efforts to her other dream: becoming an author. Thankfully, her brain seemed to comprehend English much better than Science, and so, in a misguided attempt to get paid for converting thoughts to words, she studied Journalism at university. While university was perhaps one of the most wonderful places on earth, H.J. quickly found that journalism required a lot of knowledge of things like football, politicians, and the capital of Australia, knowledge which she sadly did not possess. Her passion lay more in things like what type of weapon you would use to slay a dragon (magic sword), a demon (magic flaming sword) and the kind of food unicorns eat (marbles). Which is why, when she graduated, H.J. went to work in a bookshop, where that type of knowledge kind-of-sort-of-not-really has a purpose. Two bookshops and a library later, H.J. now lives in Melbourne where she works in another wonderful bookshop. It was here that she first discovered how mindblowingly awesome kids’ and YA books are, and that she would dearly love to add to the many excellent titles out there that are expanding/shaping/warping young minds everywhere. H.J. has written a series called Star League, the first four books of which were published by Random House in June 2011. Star League is for readers seven and up, and follows the adventures of an action movie star, a ninja, a werewolf, a zombie, an animancer and a robot as they fight against evil. Look for the next four books to come out in September. H.J. 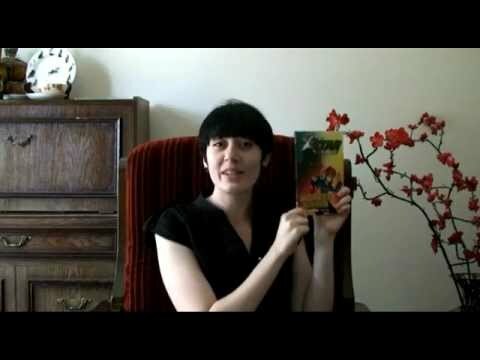 is also working on her next book, a Steampunk puzzle adventure which will be published in 2012.